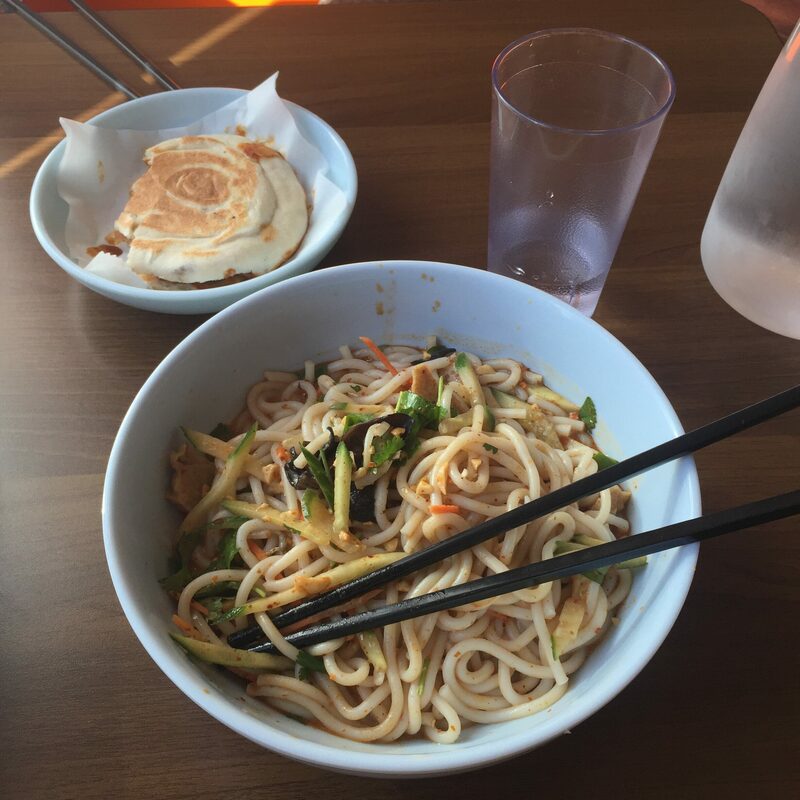 If you haven’t already mastered your chopsticks skills, you’d better start practicing; because the list of Asian food selections in College Park is robust! In addition to Aroy Thai and Ten Ren’s Taiwanese, Baltimore Avenue is home to one of the most highly rated Chinese Restaurants in the area: Northwest Chinese Food. When visiting, don’t expect your typical greasy, Americanized lo mein and orange chicken dishes—as delicious as those can be. Heavier on the garlic, chili oil, and other classic Shaanxi flavors, Northwest offers much more authentic, high quality dishes, from knife-cut noodles, to skewers, to a variety of Chinese “burgers”. 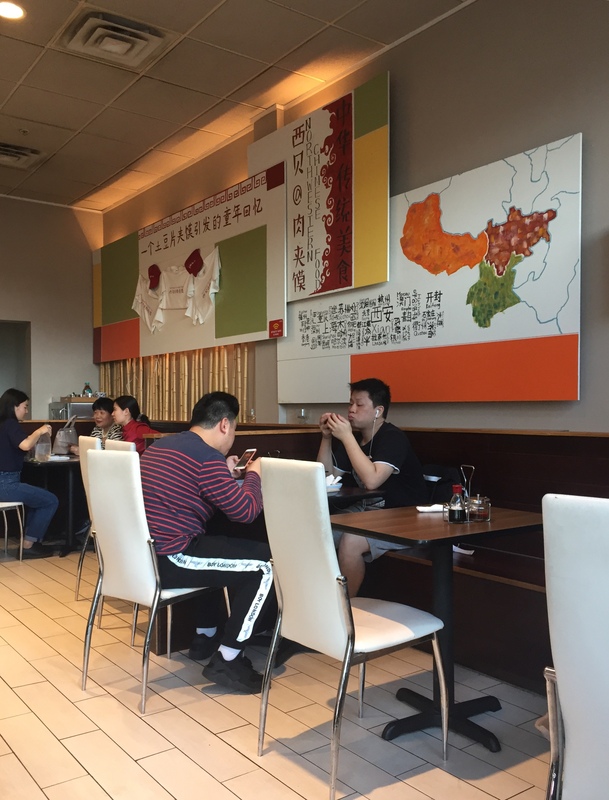 The restaurant is located in downtown College Park across from College Park Shopping Center at 7313 Baltimore Ave. As soon as you enter, you’ll immediately be greeted by friendly staff, and you’ll likely admire the simple, yet classy Chinese decor lining the walls. 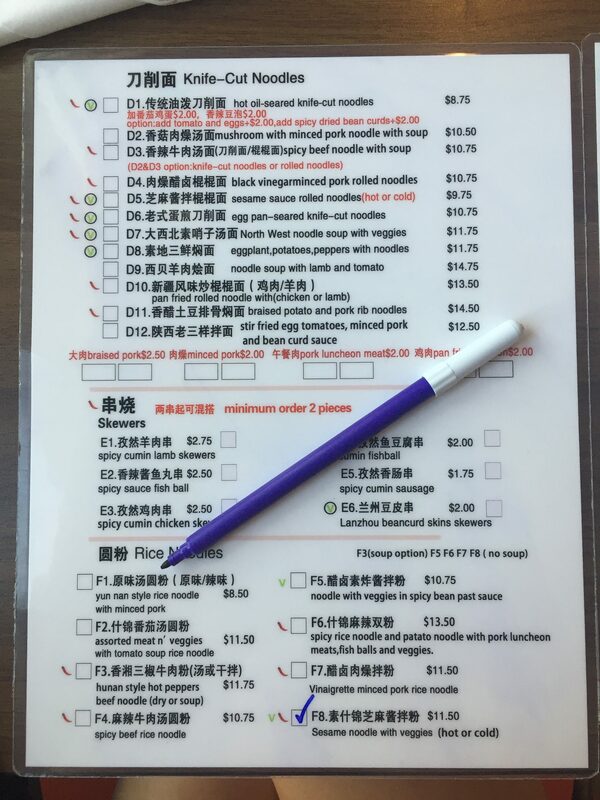 Placing orders is made fun and easy by simply ticking off what you’d like on the personal dry-erase menus, as well as having the choice receiving getting certain dishes served hot or cold. Just make sure to double-check that they’re open before you go! With hours slightly atypical of the rest of College Park scene, Northwest Chinese closes for a couple of hours in the afternoon (usually between 3-5) as well as on Mondays to allow the chefs and staff enough energy and preparation time to deliver the best possible service at dinnertime! Although if your mouth is already watering at the thought of this food and you’d like to have it in your home/office, you can place an order online and pick it up (it’s a nice walk from the University) or get it delivered through DoorDash. Enjoy your meal!